Just Write, Heather: Who Me? I think I've mentioned my love for Sharon of Mom Generations a time or twenty. I may even refer to her as my "really good friend" to my husband occasionally. Well, guess what? She loves me, too! How do I know? She gave me an award, that's how! Thank you so much, Sharon. You are so kind. One of these days we are going to get together over coffee and laugh 'til we pee our pants. I'm sure of it. I need to pass this on to seven of my favorite bloggers and I'm more than happy to do it. I have so many favorites that it's hard to narrow it down but these ladies are among the first I check when it's time to read blogs. That was hard! I love all of you guys who read here and I try to read all of the blogs of folks who comment here. 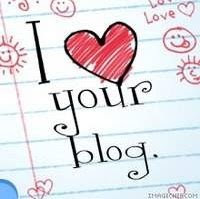 If you haven't commented before, let me know you are out there and I'll check out your blog!